You want to pray, and you know you should pray, so why is it such a struggle to pray? Have you found yourself wondering “How can I cultivate an effective prayer life?” Creating the habit of prayer can be challenging. Praying through a spiritual slump can seem impossible. What can you do to improve your prayer time? Some days it can be incredibly hard to focus your thoughts without a million interruptions. Other days you make the time, but the words won’t come. Maybe you’re in a season of discouragement or depression. Frustrated, you find yourself praying less and less, until one day the convicting tug at your heart becomes too much to ignore. You know you’ve messed up and gotten off-track. How do you re-align yourself and get back in relationship with Him? How Can I Cultivate An Effective Prayer Life? 1. Make an appointment with God, in a quiet place, for prayer. Did you see the recent faith-based movie War Room? Remember the prayer closet? It’s biblical! In Matthew 6:6 we read this example, “But when you pray, go into your room and shut the door and pray…” (HCSB). The KJV actually uses the word “closet” instead of “room.” The spirit of the verse is to find a quiet place where you can shut yourself away while you pray. If you have young children at home, try to get out of bed before they do and commit to pray, or ask your husband, mom, or friend to sit with your children later in the day. We schedule sitters for other necessary appointments; why not for prayer? Make an appointment and keep it! To create the habit of prayer, remember it this way: make an appointment >> same time every day >> quiet room. There are many instances in scripture where we read that someone “cried out to the Lord,” especially during times of stress. Use your voice when you pray. Cry to the Lord! When we pray “in our head” but not out loud it’s a certain recipe for sleepiness and struggle. There’s something about praying out loud that awakens our spirit and reaches the ears of God! We see this often in scripture, too. In James 5:16 we find that “the effectual fervent prayer of a righteous [wo]man avails much.” We’re not practicing patty-cake Christianity, we’re cultivating a rich, growing prayer life. We need to pray fervently and effectively! Many beautiful journals are on the market today (I love this “Dear God” journal!). 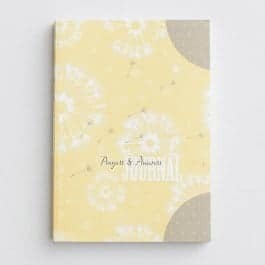 You can also use a spiral notebook…whatever works for you! Simply write out your prayers one by one. Another pastor’s wife shared a new idea with me a few days ago that I’d like to try out: for her 50th birthday, she wrote 50 unique prayer needs down, one at the top of each page in her journal. As she went through her 50th year, every time she saw a glimpse of God moving in any of those needs, she’d go to its corresponding page and make a note of it. Now she can look into that prayer journal anytime and see God’s hand and her prayers at work! How encouraging! The prayers & answers journal by DaySpring would work beautifully for this creative prayer time. What about you? Have you found creative ways to improve your prayer life? What tips do you have? I’d love to hear about them in the comments! How Can I Cultivate An Effective Prayer Life was first published on Like a Bubbling Brook. Such a thoughtful post and I love your blog name! Found you on Blogtalk 2.0. Sharing on Facebook! Thank you, Cecilia! So nice to “meet” you! How sweet of you, Lynn! Thank you! Such a wonderful and thoughtful post. thanks so much for sharing at Merry Monday! Prayer changes the atmosphere of our hearts and the course of our future. God is so good. Praying out loud is very powerful. Thank you for the encouragement. Checked out your post from #Coffeefortheheart. Hey lady! So glad you stopped by! Your post made me think of Oswald Chambers words – prayer is work. But, I prefer to think of prayer as a workout because it always does us a lot of good. Thanks Jaime. Love these! If my mind is having trouble staying focused I start praying out loud. It definitely is a big help! Good thoughts on prayer! My favorite way to “connect” in prayer is through journaling. Visiting you from Divine Encounter linkup. I absolutely love that you include praying out loud in this! I have to pray outloud; it’s the only way I can really focus on what I’m saying and thinking. Prayer has felt like such a chore lately and I think it’s because I’m missing out on the prayer closer or time to do it, especially with a newborn.This is great advice! I think the biggest improvement to my prayer life has been to involve others. At my church, our small groups are paired down into “Fight Clubs”; gender-specific groups of 2-3 people who commit to fighting sin together and commit to fighting for each other through prayer and encouragement. 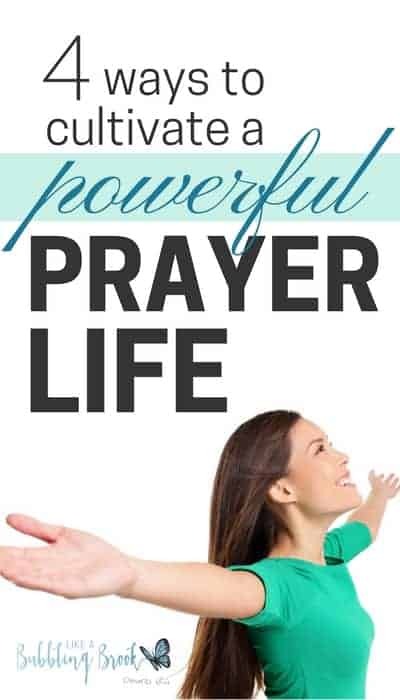 This has been a huge help to me, because now I have a few other ladies who will text/call me and ask “how is your prayer life?” That’s huge encouragement to pray! These are all really great tips! I downloaded apps that help me with daily devotionals, and She Reads Truth is a helpful resource as well. My boyfriend and I pray together each night, and that also helps us to reflect on things we are thankful for. I also keep a journal that I write quotes and scriptures in, which keeps all my thoughts in one place for me to look back on later. I’ve grown much closer to my faith in the past year, and I’m a much better version of myself because of that! Great suggestions! I love that Dayspring journal! When I pray it seems like such an obligation. I say the same things in the same order. It is nice to read of different ways I can switch it up! Thanks. Such practical — and Biblical — tips. I love to read the Bible; but have always struggled dedicating time to prayer. My baby girl has been waking up early, so I’m thinking that maybe naptime might be a good time to dedicate each day. Thanks for the inspiration! I recently started keeping a prayer/Bible study journal this year and it’s been great experience. I think too many Christian neglect their prayer life. Thanks for this excellent tips to improve our prayer lives! Great post! I guilty of not praying like I should. I use Evernote and keep my prayers in a notebook digitally. That way, no matter where I am, if I have my phone or a computer I can look up my prayers and see how God has answered them. It works great! These are great! I have not been praying out loud recently! I want to try to do that more often. Have your heard of the prayer app, ECHO? It is a great tool I use to help me keep track of prayer requests and I can set reminders on the app that help me remember to pray for certain ppl! Hi, Elena! I haven’t heard of the app but it sounds helpful! This is beautiful and I’m grateful for this post. My husband is gifted in prayer, it’s beautiful to hear him pray but sometimes I get hung up on my not-so-giftedness in it, especially if I pray before or after him. I know God hears my prayers and they are just as sweet to His ears but this is a discipline (praying out loud with others) that I need to exercise more. I’m so much more comfortable praying alone by myself, in fact I do that all day every day it seems. However, I want to be a better community-prayer-person! Thank you for sharing this post with us at the Grace & Truth link-up! I look forward to reading more of your writing! A prayer journal has been the most useful tool for my prayer life. I struggle with focusing when I am simply praying outloud or in my mind, so writing my prayers has been really helpful over the years. I also love being able to go back and read what I’ve written and see how God has answered those prayers over time! I love your testimony about prayer journaling, Esther! Well written and timely for me. I’ll be sharing a link to this post on my Friday Faves today. Blessings to you and yours! Marie, thanks so much! Sweet of you! Great post, Jaime! I just finished a series on prayer on my site and I will be releasing my prayer pack of about 100 pages of prayer awesomeness (including prayer journal pages) tomorrow! I always write down my prayers so I will be checking out the prayer journals you mentioned above. I’ve never really thought to read them aloud but I think I’ll try that too. Writing helps to keep me focused on what I need to say. I also need to spend more time listening for His voice. Thank you for this post! I always enjoy reading your posts and feel like you add a portion to my cup each time you share and for that I am thankful. I’m still very new in my relationship with the Lord and getting to know Him and the Word. So far I have been extremely self-conscious of praying aloud in the presence of others. I have not yet attempted to incorporate a personal prayer time either (it’s a constant rolling thought, that I let roll on out again and again). Which tells me that it’s time I try. Since I’ve had my babies almost 4 & 2…I’ve been intentional about stopping to pray with them out loud at those moments that I need them to see me seeking God for help, strength and peace of mind (both for myself & leading them). It has been helping me to feel more confident about praying aloud. Lastly, I want to thank you Jaime. You recently prayed for me and my family. Your return email about my prayer request was so encouraging and empowering for me. It meant the world to me and helped me to be more hopeful in that moment and continues to each time I reread it. Many Thanks & God Bless You All.